Having recently lost her home in the recent California wildfires, Miley Cyrus has now had a collection of guitars stolen from a storage unit in the state. As TMZ reports, law enforcement sources say the value of the instrument collection was over $10,000 USD. The site adds that Cyrus reportedly thought the instruments had been borrowed by family members and she had only reported the crime to authorities this week. Law enforcement believes the robbery occurred in October. 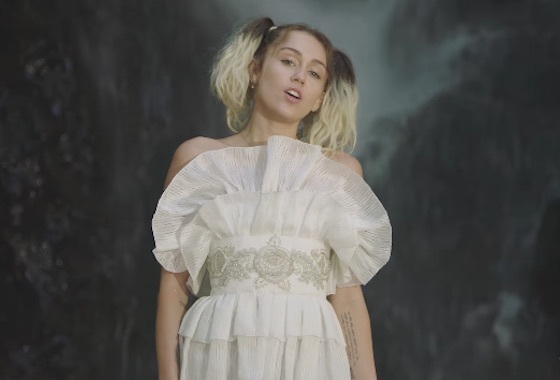 Cyrus recently appeared on Mark Ronson's new single "Nothing Breaks Like a Heart." The pair will perform the track on Saturday Night Live later this month on December 15.